Insurance billing is no easy task. It is made even more confusing by the vast amount of terminology (and acronyms) used for even the most simple of tasks. There are thousands of codes you have to juggle — CPT, ICD-10, and DSM 5, just for starters. It is easy to choose the wrong code but it can be a costly mistake. 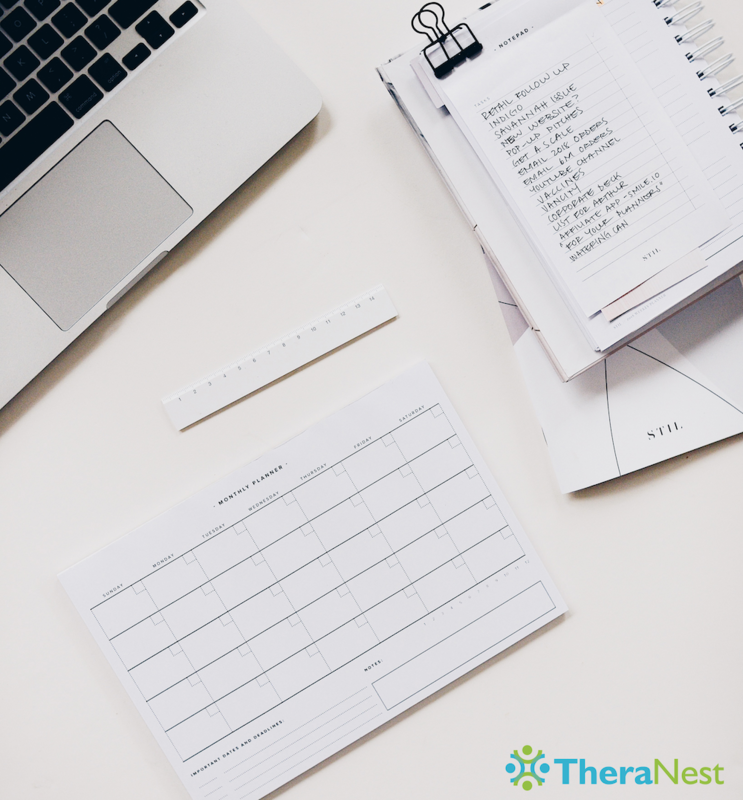 In this post, we’re breaking down and defining what ICD, DSM, and CPT mean and how you, as a therapist, use them everyday. ICD and DSM and CPT, Oh My! You’ve probably seen or at least, heard of each of these terms before. But what do they actually mean? CPT stands for Current Procedural Terminology. This is a standardized set of codes published and maintained by the American Medical Association (AMA). The CPT codes for psychiatry, psychology, and behavioral health underwent a revision in 2013 and aren’t scheduled for another revision anytime soon. To put things into perspective, the last time the codes were changed before 2013 was in 1998 (meaning you really only will need to learn the CPT codes you use once). CPT codes describe the action taken or the treatment provided to clients. These five digit codes are used to quantify any treatment a client relieves whether that be a trip to the ER or a therapy session. CPT codes are essential for billing. Whether you bill directly to insurance companies or you provide your clients with superbills, having the correct CPT codes is necessary if you want to get paid in full and avoid an insurance audit. CPT codes and add on codes are used to convey the exact service you provided to your client and from there they eventually determine how much you are paid. Undercoding: This is when you use a CPT code that represents a lower priced treatment or a less severe diagnosis. While this can be done by mistake, undercoding is often intentional. A provider intentionally leaves out a service rendered as a way to save money for the patient. Providers may also undercode to avoid auditing from an insurance company. Regardless of the reason it is done, undercoding is illegal. Upcoding: This is when you use a CPT code that represents a higher priced treatment or a more severe diagnosis. Sometimes this can be done to receive higher reimbursement. Though, upcoding is illegal (and unethical), it is not always done with a malicious intent. Upcoding often results from having an untrained staff member (remember even if this was an employee error, if you get audited by an insurance company this blame falls on you so make sure to hire properly trained staff!). 90839 – Psychotherapy for crisis, 60 minutes (30-74 minutes). If you have more questions about CPT codes and billing, check out our Billing 101 eBook. Now you may be asking yourself, this is great, but what do CPT codes have to do with ICD-10 and DSM 5? The answer is everything. Let’s take a step back. Before we explore the relationship between ICD-10/ DSM 5 and CPT codes–lets talk about the relationship between ICD 10 and DSM 5 codes. Both ICD-10 and DSM 5 codes are used for diagnosis. How are they different? They’re not. ICD codes are the World Health Organization (WHO)’s International Classification of Diseases and Related Health Problems and they are used together with CPT codes to bill insurances. DSM 5 codes are the codes outlined in the The Diagnostic and Statistical Manual of Mental Disorders (Fifth Edition). This manual is a taxonomic and diagnostic tool used published by the American Psychiatric Association. ICD-10 and DSM 5 codes are the same. The DSM is a guide to picking the correct ICD code. The DSM 5 was published in May of 2013 and went into effect on January 1, 2014–right ahead of when the entire medical community switched from using ICD-9 to ICD-10 codes on October 1, 2015. The main difference between ICD-9 and ICD-10 is there are many more diagnosis pathways for clients in ICD-10 than there were in ICD-9 (check out our handy ICD-10 converter). DSM is relevant to the mental health community because it endorses and lists most (but not all) mental and behavioral health ICD codes. The confusion whether DSM and ICD codes are the same or not stems from the fact that the DSM is the only accepted guide to ICD codes in the mental health industry. This leads many therapists to believe there is a separate list of DSM codes that is not connected with ICD codes, when there is not. DSM is ICD–DSM directs therapists to the correct ICD diagnosis codes they need to bill. This brings us back to our critical question, how are CPT and ICD related? The relationship between an ICD code and a CPT code is that the diagnosis supports the medical necessity of the treatment. HIPAA, starting in 2003, made it mandatory to have an ICD code for any electronic transaction used for billing, reimbursement, or reporting purposes. So to bill an insurance you need to have a CPT code which explains the treatment/service you provided a client and an ICD 10 code that outlines the diagnosis for a patient which explains why the treatment/service you provided was necessary. Remember, this is not an exhaustive list. There may be clients you see who have conditions that we did not include above. 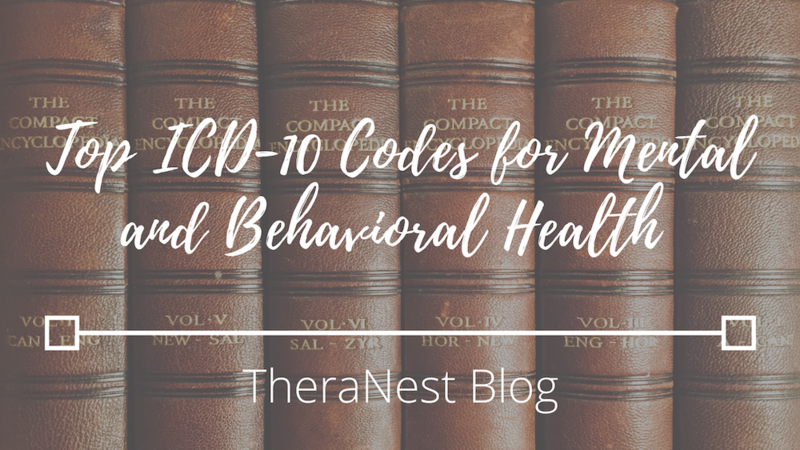 This list serves only as an overview to show you some of the most common ICD-10 codes that other mental and behavioral health therapists use on a regular basis. Though it can be easy to become overwhelmed with the number of different codes out there when it come to medical billing as a therapist, we hope this post has helped breakdown some of the confusion you may have been experiencing. There’s no doubt that billing can be an exhausting task, we’re here to help make it as easy as we can. Check out TheraNest to see how we can help you streamline your billing (and reduce your stress levels).